Find Conifer, CO Homes for sale. View Photos, Maps and MLS Data Now! Conifer Park Estates - Only a 3 minute drive to HWY 285 & only 20 minutes to C-470/ the perfect mountain home- with easy access to the City MLS#8135491. HomeSmart Realty Group. Evergreen Meadows - 2nd Baths are works of art! Exposed timbers-- Paved driveway! MLS#3361327. 8z Real Estate. Conifer Meadows - A well cared for home waiting for the next owner! MLS#9727810. COLDWELL BANKER RESIDENTIAL 28. Large "Man Cave" Shed and private setting. MLS#7340902. HomeSmart Cherry Creek Properties. Kings Valley - According to seller property backs up to Staunton Ranch (Please confirm) Great South east view Pikes Peak included Private setting needs some TLC but awesome project Live in and fix up Shower recently remodeled small shed stays according to seller New Shingles 2013 updated electric and plumbing 2011, including a tankless water heater MLS#2247787. KELLER WILLIAMS FOOTHILLS REALTY. Wamblee Valley offers peaceful settings with lovely mountain views and easy access to Hwy 285 for commutes, recreation and the very highly rated Conifer school district. Professional photos coming soon! MLS#3494087. KELLER WILLIAMS FOOTHILLS REALTY. Kings Valley - You won't be disappointed with the mountain living this home has to offer! MLS#9649496. Keller Williams Foothills Realty, LLC. Enjoy quick access to your favorite mountain activities including fishing, hiking, a head start to the ski resorts & an easy, all highway, commute to Denver. MLS#5439172. Your Castle Real Estate Inc.
Kings Valley - Quick commute to Denver, hiking at local trails, shopping & skiing. MLS#5493962. RE/MAX ALLIANCE. Evergreen Meadows - Nestled into aspen and pine trees, you will enjoy privacy yet you are just 12 minutes to the grocery and amenities or to Highway 285 for any easy commute into Denver. Schedule a private showing today! MLS#4265339. RE/MAX ALLIANCE. Conifer Mountain - Relax in the HOT TUB, enjoy the tranquility that surrounds you. MLS#9210965. Kentwood Real Estate Cherry Creek. Richmond Hill - Quiet Cul De Sac & Mountain Views. MLS#9441354. KELLER WILLIAMS AVENUES REALTY. 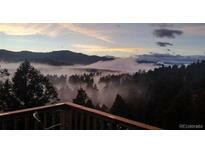 The location of this home is ideal and provides easy access to Hwy 285, Conifer, and even Denver. MLS#4160856. Madison & Company Properties. 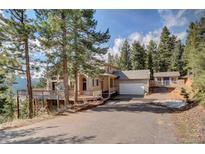 Black Mountain Ranch Estates - But when you do, easy access to the city, mountains, grocery, restaurants, boutiques, all you need is right down the road in Conifer Don't miss amazing, fully finished and permitted garage with 220V 50amp circuits,110 lighting and receptacles and TONS of storage. MLS#8443646. Porchlight Real Estate Group. Aspen Park - If you want to live in the Mountains, close to Hwy 285 (no hwy noice) with a quick commute to C-470, I-70 or 6th Ave into Denver, this is your home. MLS#2653253. Swan Realtor Group Brokerage. Community Water & Sewer. No worry about wells & septic’s. MLS#2933558. COLDWELL BANKER RESIDENTIAL 28. Enjoy ultimate privacy and serenity all with easy access to Hwy 285 and Denver! MLS#8700139. COLDWELL BANKER RESIDENTIAL 28. Kings Valley - Quick and easy access to HWY 285 and 30 min commute into Denver and 5 min from amenities. Award winning schools, abundant wildlife! MLS#9653887. LIV Sotheby's International Realty. Pleasant Park - Quick drive off 285, this home is ready for its new owners to make it their own. Schedule your showings today. MLS#2030934. RE/MAX Professionals. Richmond Hill - Just minutes to Hwy 285 and local shopping. MLS#6773264. Madison & Company Properties. Wamblee Valley - All on 2.6 A2 zoned flat grass in front and maintained forest in the back. MLS#3400392. 8z Real Estate. Pleasant Park - Bring your creativity and make this close-in charmer your own. MLS#2505697. COLDWELL BANKER RESIDENTIAL 66. Conifer Mountain - Seller is willing to make most furnishings optional if the Buyer is interested. MLS#5526211. KELLER WILLIAMS FOOTHILLS REALTY. Evergreen Meadows - Call today for a private tour and don't miss the drone & walk through video in virtual tour! MLS#5253643. RE/MAX ALLIANCE. Just minutes from Hwy 285, shops, public transit, only 20 minutes to C-470. MLS#3625931. COLDWELL BANKER RESIDENTIAL 54.